Till River kills the Doctor..
Now that’s more like it! After a few episodes that honestly felt like filler episodes in the grand scheme of things, we have a really well done Moffat episode. I know the fanbase will be largely split with Moffat fans rejoicing to the hills and his detractors slamming it, as this was a VERY Moffat episode. Structured in a similar vein to The Impossible Astronaut and even The Pandorica Opens, we see more of the old “timey wimey” going on. We know how the Doctor escapes death, why River is in prison, and whether or not River is married to the Doctor (sort of…lol). Not every question was answered, but we got through a good chunk of it. I guess we can chalk most of my previous ramblings about who broke into Amy’s house, and the destruction of the Tardis to be the master plan of the Silence to kill the Doctor at any means necessary. This largely points to these first two seasons being merely a stepping stone in a much larger ongoing storyline. This is both good and bad, as I hoped we would finally know everything that has happened at this point, but I’m glad all the answers weren’t rushed in one solitary episode. I was truly worried that we were going to have seen sixty minutes of random flashbacks and such. 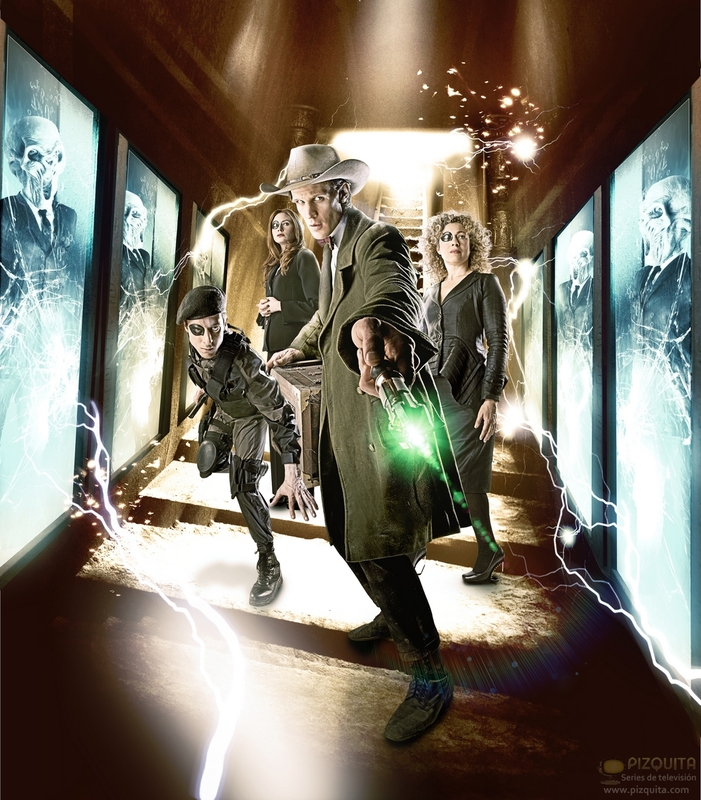 The Wedding of River Song was a very important episode, not as much for the actual content, but as a casual reboot of the series. What many may not notice is that with the perceived “death” of the Doctor as seen by many, we have seen the end of the “super Jesus, Earth savior” Doctor, and the birth of a hopefully more reclusive Doctor that spends less time on Earth. What I hope we see is more “monster of the week” episodes where we might see a sense of the Silence “being onto him” or some such, but just in the background. We all know this will lead to the eventual reveal of the final battle between the Doctor and the Silence, most likely for the 50th Anniversary. I still cling to the possibility that we haven’t seen the person in charge of the Silence as of yet, and it would be amazing to find out who it is in a few years. All I know is that once he starts going to a place called “The Fields of Trensalore” we’re in for it. Another fun tidbit is that the emphasis on the mystery behind the Doctor’s name adds new relevance to the title of the show. Many casual fans, or folks that may skim an episode here and there may wonder why the show is even called Doctor Who, some might even think that it’s his name. It’s a nice capstone for nearly 50 years of continuity and makes us wonder why he’s so secretive of his name. Does his name link him to something terrible? My ongoing theory is that there is some big bad guy out there that needs to know the Doctor’s name for some reason. I’m wondering if the Doctor didn’t use it as the password for the “time lock” he used to trap the Time Lords and Daleks within Gallifrey, once it is uttered, this lock will be broken and cause havoc. Suddenly you’d have The Master set free, and all sorts of other pissed off Timelords. This would fit in with the alien coalition trying to stop the Doctor at all costs with the Pandorica, and even explain the Silence claiming that they have witnessed a dark future caused by the Doctor. Of course we won’t hear the name as viewers, as finding out that the Doctor’s name is “Barry” would probably ruin the show. On a side note, I loved the little “fan-wanky” bits in this episode. For starters, when we find that all of time has been compressed to a solitary moment, we see anomalies such as Charles Dickens talking about his upcoming BBC Christmas special. Once he gets rolling you realize that he is talking about A Christmas Carol. Dickens was once again played by the returning Simon Callow, a man that many will remember from An Unquiet Dead way back in season 1. Other nice nods included the reappearance of Winston Churchill, who has apparently started riding a mammoth to work. With a less “in your face” cameo, we find that fan favorite companion “The Brigadier” has finally been laid to rest within the show. This follows the real life death of Nicholas Courtney. I would have liked a similar send-off to the one Elisabeth Sladen received, but the nod was nice to see. So yeah, good episode, and a good savior for a somewhat mellow second half of a season. I can’t wait to see where this goes. There will certainly be lots of theorising over the coming months! Personally, I think the real nature of the Question is something more convoluted than simply “Doctor Who?” – I suspect this is Moffat playing his little games with us again. Previous Previous post: Is Doctor Who anti-Religious?